Attendees from the recent Time Use Conference and Workshop in Maryland. 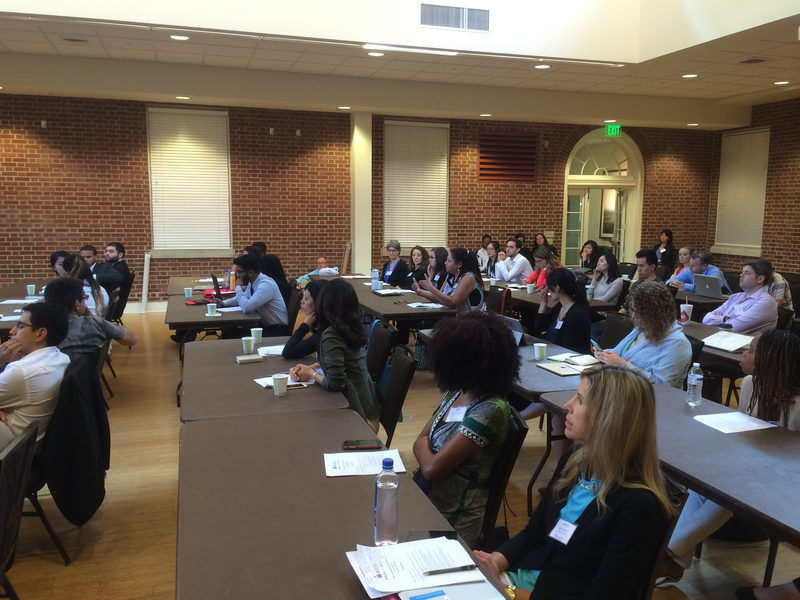 Over 100 students, faculty, and researchers gathered June 27 and 28, 2016 at the University of Maryland, College Park, for a conference on Time Use Across the Life Course, funded by the Maryland Population Research Center at the University of Maryland and organized by Liana Sayer. Conference attendees came from the United States, Australia, Singapore, England, and Belgium. Research using data from the United States and Korea focused on the gendered division of household labor. The evidence showed that men in female-dominated occupations (e.g. nursing) spent more time in male-type housework (e.g. home improvement) as a way to neutralize their participation in gender-deviant occupations. Based on longitudinal data from Korea, research shows that following the transition to parenthood, women do much more housework than men, whose time in housework is unaffected by becoming a parent. Other research highlighted one of the major strengths of the ATUS – large sample sizes. One paper compared housework among native and foreign-born intermarried couples with native-born couples. Another paper analyzed the relationship between teenagers’ participation in the school breakfast program and obesity and BMI. A methodological paper redefined commuting to and from work. By linking trip segments that are separated by 30 minutes or less, the alternative measure accounted for dropping a child off at daycare on the way to work or stopping at the grocery store on the way home from work. A novel use of the data took advantage of the linkages between the ATUS and the CPS to examine the well-being (both life satisfaction and momentary well-being of life from the ATUS) of displaced workers (identified in the CPS Displaced Worker supplement). (2009, 2011, 2014, 2016) introducing researchers to the richness of time diary data, helping them build skills to analyze the data, and building a community of researchers using time use data. Several of the workshop participants from previous cohorts were on this year’s conference program and continue to have active research agendas using time use data. 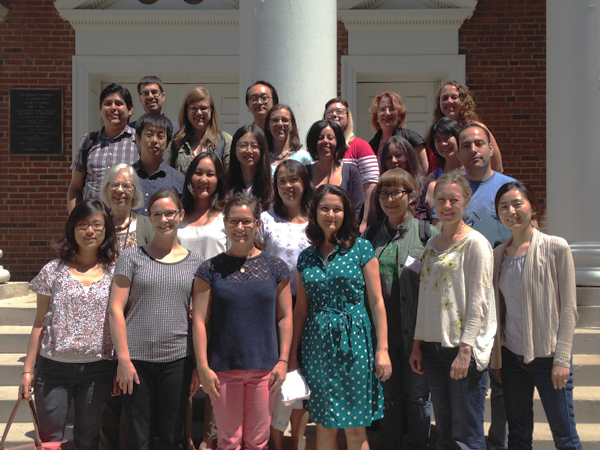 IPUMS Time Use held its fourth three-day workshop from June 29-July 1, 2016 at the University of Maryland. The in-depth and hands-on workshop provided a crash course in time use data. The 2016 cohort included 18 scholars – graduate students and junior faculty – from 16 institutions in the US, Canada, and Italy. All workshop participants received six hours of hands-on experience in computer labs using the IPUMS Time Use system and analyzing time diary data. Experts from the Bureau of Labor Statistics, the agency that sponsors the American Time Use Survey, as well as from staff representing the Economic Research Service at the US Department of Agriculture, which sponsors a popular module on Eating and Health, gave presentations at the workshop. These presentations provided participants with a glimpse into how the data are collected, highlighted key features of the data, and encouraged research on a variety of time use topics, including food and eating, exercise, and health. IPUMS Time Use staff described the origins of the Centre for Time Use Research data archive, components of which are now available in IPUMS Time Use. We also informed participants about the variety of data available in the US as well as across the world and highlighted the relevance of time diary data for analyses of eldercare, childcare, and well-being. Special topical sessions provided in-depth descriptions about comparability issues across time and space and detailed information about the mechanics and potential of linking ATUS and CPS data. Workshop participants and facilitators had discussions throughout the workshop about time use data in general and the specific interests and projects of workshop participants. These conversations were stimulating and exciting, allowing workshop participants to clarify and focus their ideas, to get feedback and guidance on strategic decisions, and build connections with other researchers using time use data.